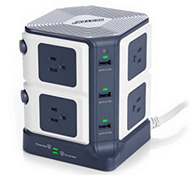 Surge protectors are widely used at home recently. Good surge suppression can not only allow you to charge multiple devices at the same time, but can ensure surge protections for your gears effectively. In many people’s eyes, surge protector charge is important and mainly used for home appliances as they think power surge only occurs in home appliances circuit. However, power surges can come over any wires, including USB device cables. So, not just your home appliances but also your mobile electronics need surge protection. To understand surge protection, you should know something about power surge at first. Power surge or spikes are transient excessive electrical voltage or current that flows into circuit and will cause damage to your devices once the electrical charge increase to a certain point. Surges are frequently happen in thunderstorm days. When the lightning strikes a power line in a building or even the near underground wires, electrical energy will increase sharply by millions of volts. If your appliances are being charged at that time, the flowing surges are easily to damage them at once, and electric fires may also happen to put you at risk. Surge protection is a safety system provided by surge suppression to guard your devices against surges or spikes. Surge protectors can be regarded as improved power strips. With a surge protected power strip, you can charge many electronic devices simultaneously, more importantly, you can feel at ease to use with its advanced surge protection. If there is surge, the surge protector will keep the exceeded voltage away from circuit by channeling it into grounding wires to keep normal volt volumes continue. Why small electronics also need surge protection? Some people take it for granted that surge protector is tailor-made for high power devices like home appliances and office equipment. 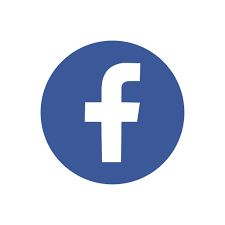 But in fact, small electrical gadgets like cellphones, tablets, and other mobile devices are also dangerous when faced with power surges or spikes. As long as your devices are connected with a charger, surges can have access to flow into the cables of the charging electronics. To be exact, electrical power surge can come over any wire. In thunderstorm days, if you keep playing cellphones while it is in charge, the huge current is more likely to strike your cellphones and even yourself. 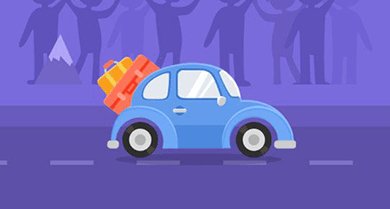 At present, everyone can’t live without mobile electronics especially cellphones, so for the safety of you and your devices, small electronics surge protection is also needed. How to protect home appliances from surges? Nowadays, surge protected power strips have been put in use for home and office to keep appliances and office equipment from power surges. 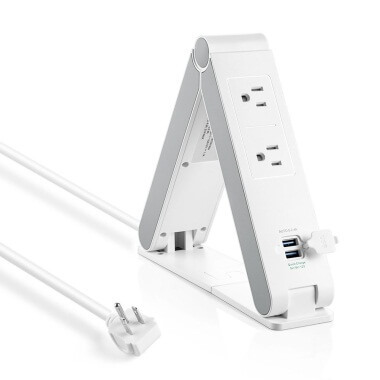 Surge protector power strip performs well in charging, often coming with multiple charging outlets. Many such power strips are designed only for 2-pronged or three-pronged connectors, not for USB devices. But you can find many kinds of USB surge protectors in market now. The number of USB ports varies from 2 to 6 and more. If you have a USB power strip with multiple AC outlets, it is hassle-free to charge both high power items and small electronics under the shield of surge suppression. 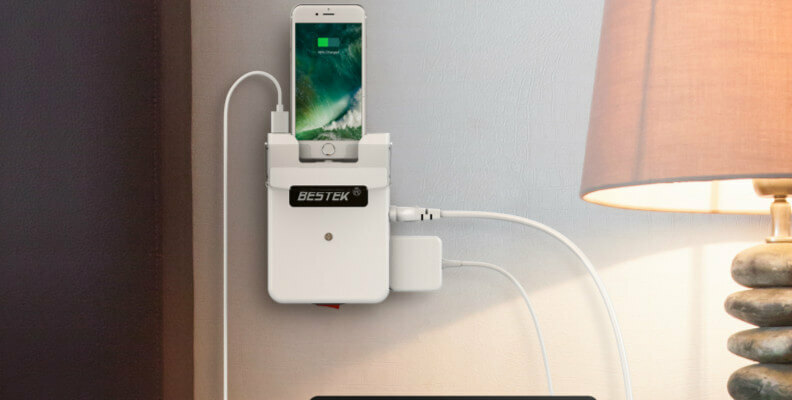 BESTEK has released many surge protectors with AC outlets and USB ports. 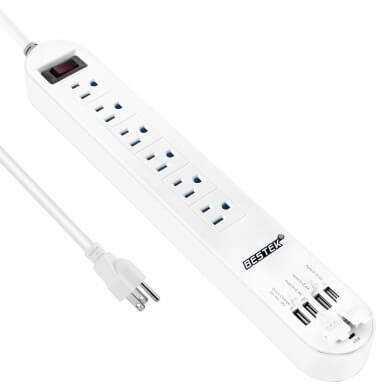 Different multi-outlet power strip varies in the number of AC outlets and USB ports. You can find one that fits you well.